Closeout. 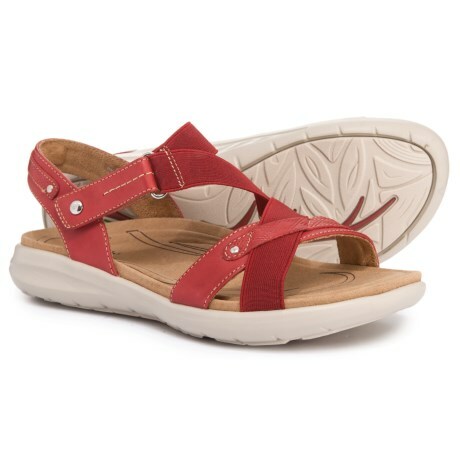 These Earthies Bali quarter strap sandals offer superior comfort to go with versatile summer style. Available Colors: BRIGHT RED, BLACK. Sizes: 5, 5.5, 6, 6.5, 7, 7.5, 8, 8.5, 9, 9.5, 10, 12, 11.